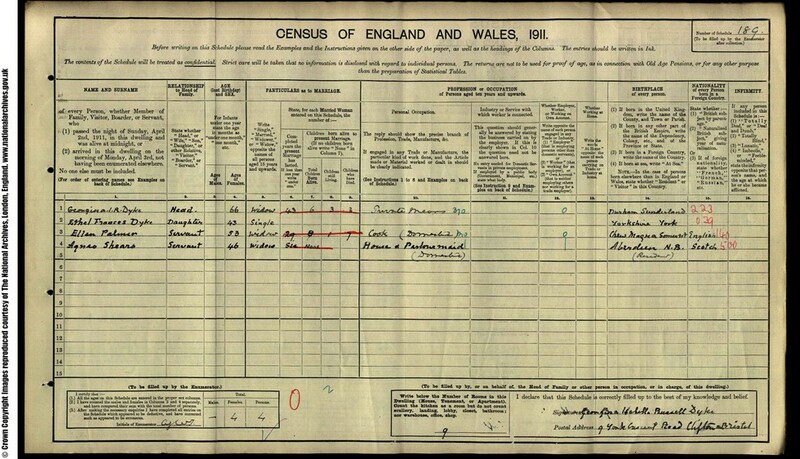 Here’s the latest post in our series of blogs exploring the family trees of the famous. Experienced family historian, Roy Stockdill, investigates the family histories of the famous, both living and dead. This month Roy delves into TV star Miranda Hart’s family tree. She’s over six feet tall, very funny and falls flat on her face a lot in her TV sitcom. It’s the brilliant Miranda Hart - who else? What is less well known is that the statuesque star of Miranda and Call The Midwife is rather posh. Miranda has denied this on chat shows but it would be no surprise if her favourite bedtime reading was Burke’s Peerage and Baronetage, since her family history occupies several pages in the bible of the aristocracy and upper classes. Miranda descends from the Hart Dyke baronetcy which goes back to 1677. Her family tree is liberally sprinkled with those bastions of the upper classes, high-ranking army and navy officers and Anglican vicars. Indeed, her background suggests she should be in Downton Abbey! Miranda was born Miranda Katharine Hart Dyke in Torquay on 14 December 1972, the daughter of David Hart Dyke CBE and Diana Margaret Luce who were married in 1967 at Salisbury, Wiltshire registration district. Miranda’s paternal grandfather, the Rev. Eric Hart Dyke (1906-1971) was born in India on 28 July 1906 and married Mary Alexander, who descended from a Scottish baronetcy, in 1935 at Okehampton, Devon. Before becoming a clergyman in 1952, the Rev. Hart Dyke was a Royal Navy commander in WWII, being twice mentioned in despatches. From 1953 to 1963 he was Rector of Cowden, Kent. Eric Hart Dyke was born in India because his father, Miranda’s great-grandfather, Colonel Percyvall Hart Dyke (1872-1952) served in the Indian Army for many years, fought in numerous campaigns before, during and after WWI and was a much-decorated soldier. He married Louisa Catherine Cave, an admiral’s daughter, at Kensington, London in 1900 but they are not found in the censuses of 1901 and 1911, presumably because they were in India. 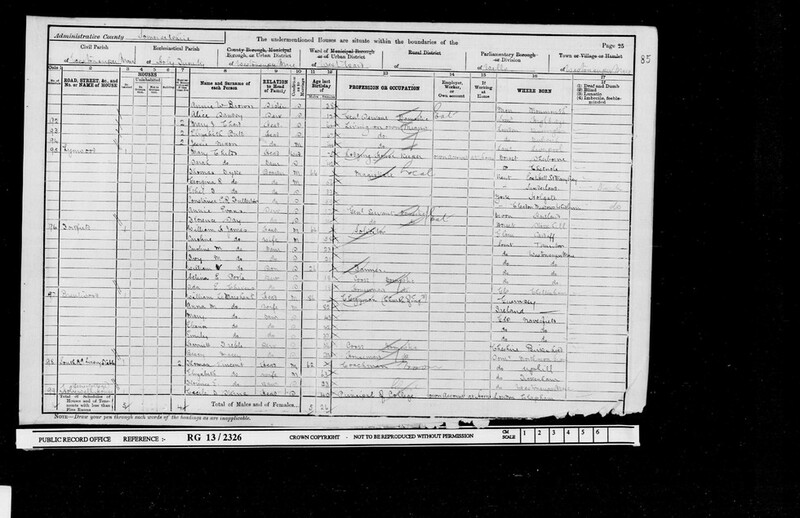 I couldn’t find Mary Dorothea’s husband John Luce, Miranda’s maternal great-grandfather, in 1911 but he was then a Royal Navy captain in command of the battleship Hibernia and almost certainly at sea. He remained a commander throughout WWI and became an admiral in 1921, dying in 1932 aged 62. 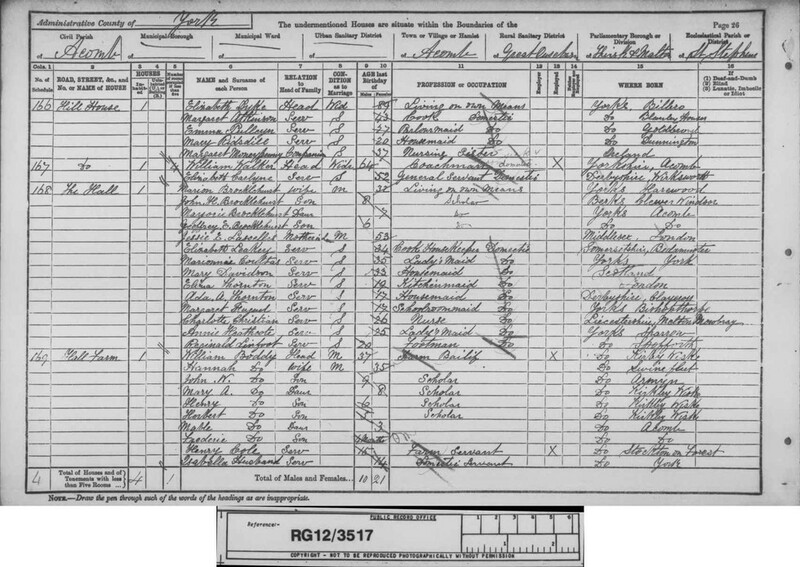 Miranda’s maternal great-grandmother Mary Dorothea Tucker who married John Luce at Weymouth, Dorset, in 1902, was the daughter of a woollen manufacturer from Somerset - perhaps an example of what the Victorians and Edwardians called a girl from ‘trade’ marrying into the upper classes? 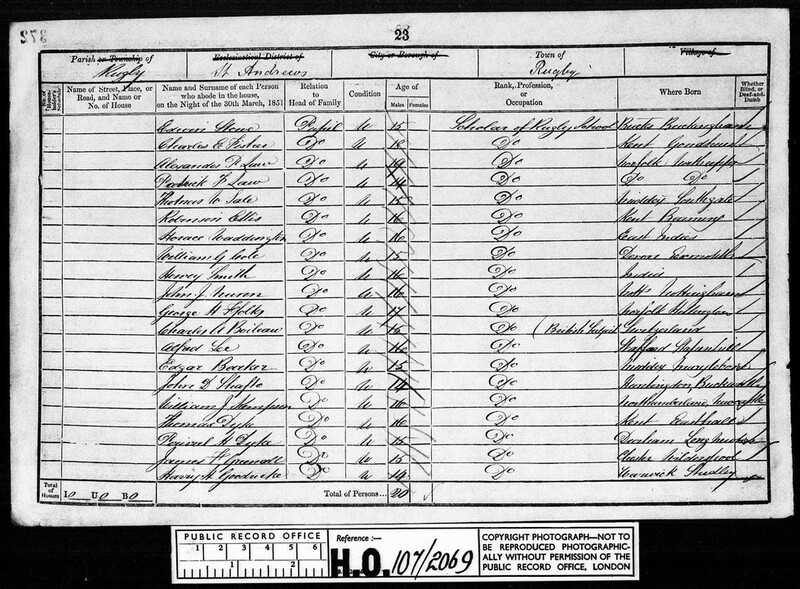 Thomas Hart Dyke (1834-1906), Miranda’s great-great-grandfather, was married in 1863 at Tewkesbury, Gloucestershire, to Georgina Isabella Russell Fullerton who was only 18. 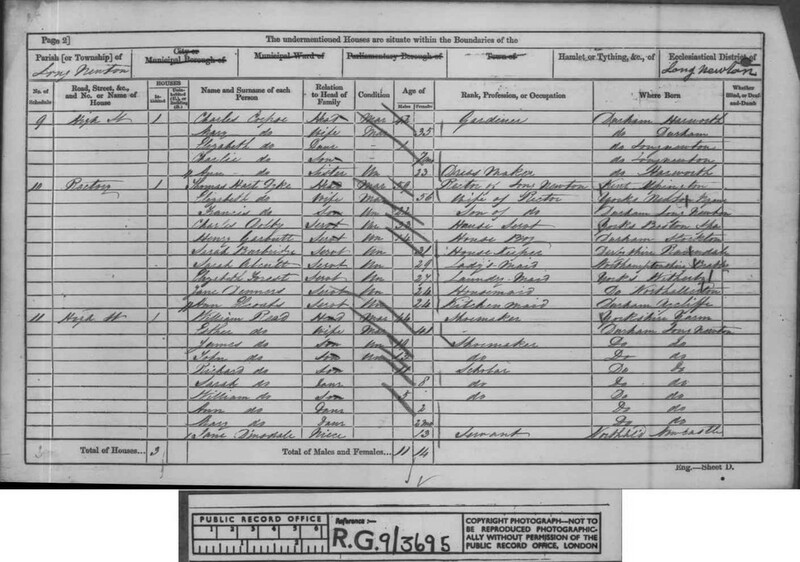 Somewhat curiously, Georgina was missing from the censuses of 1891 and 1881, although her husband and children appear in both. Possibly she was indulging in the wealthy Victorian lady’s passion for foreign travel. This time, Thomas, aged 66, was described as a magistrate, while his wife Georgina was 10 years his junior. Also with them was their daughter Ethel, a single woman of 33, and Constance Fullerton, 59 and also single, who was probably Georgina’s sister. 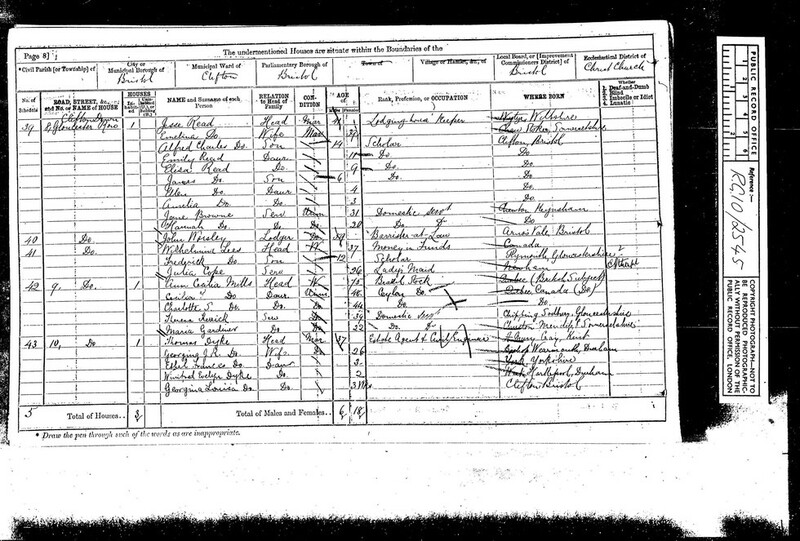 Georgina Isabella Russell Dyke, Miranda’s great-great-grandmother, born at Sunderland, Co Durham, in 1845, had a long life and died at Bristol in 1933, aged 87. 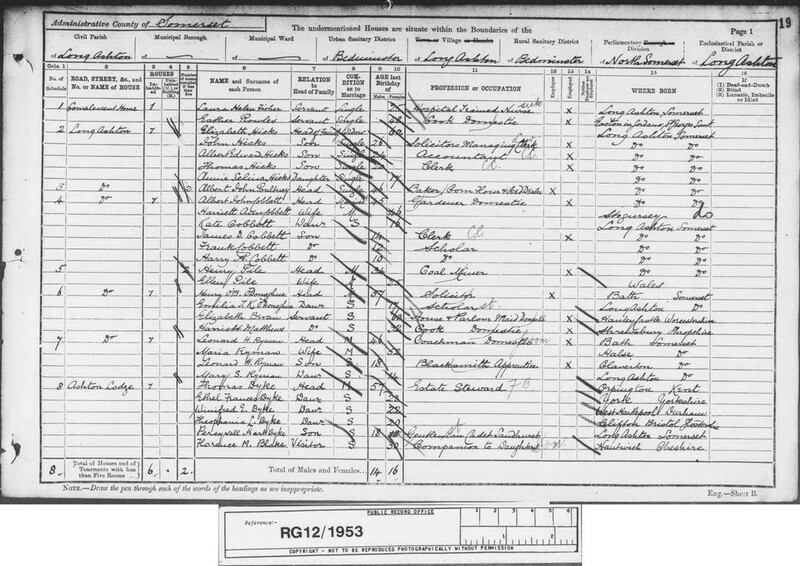 A further generation back, Miranda’s great-great-great-grandparents were the Rev. 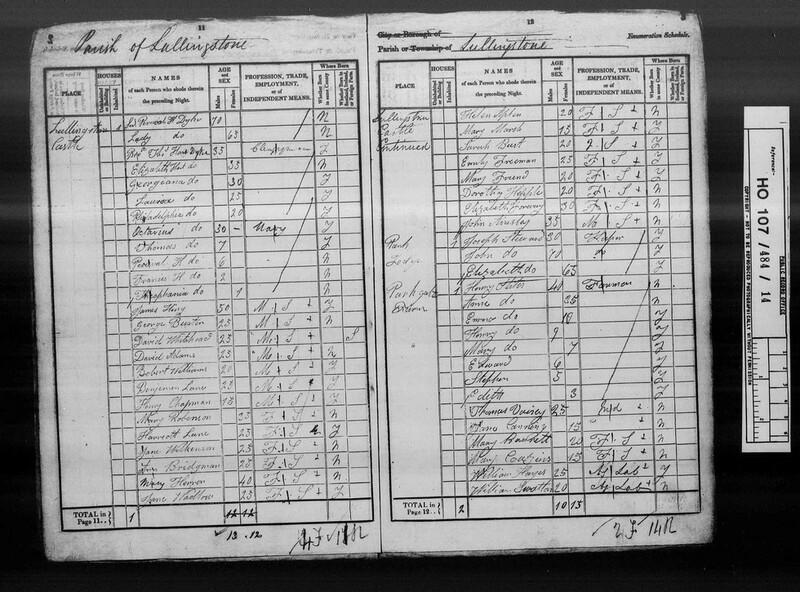 Thomas Hart Dyke (1801-1866) and Elizabeth Fairfax – probably a descendant of the Yorkshire Fairfaxes who played a prominent part in the Civil War on the Parliamentary side against Charles I - who married in 1833 at Newton Kyme, near Tadcaster, Yorkshire. Thomas was firstly the Rector of Lullingstone, Kent, the Hart Dykes’ home parish, and later of Long Newton, County Durham. He was a son of Sir Percival Hart Dyke (1767-1846), who became the fifth Baronet Dyke of Horsham, Sussex, in 1831, and his wife Anne Jenner. So Miranda descends directly from the fifth baronet, Sir Percival, who was her 4-times great-grandfather. Beyond him the baronetcy passed to other male members of the family. The current holder of the title, the 10th Baronet, lives in Canada. Sir Percival and Lady Dyke headed the schedule, followed by the Rev. 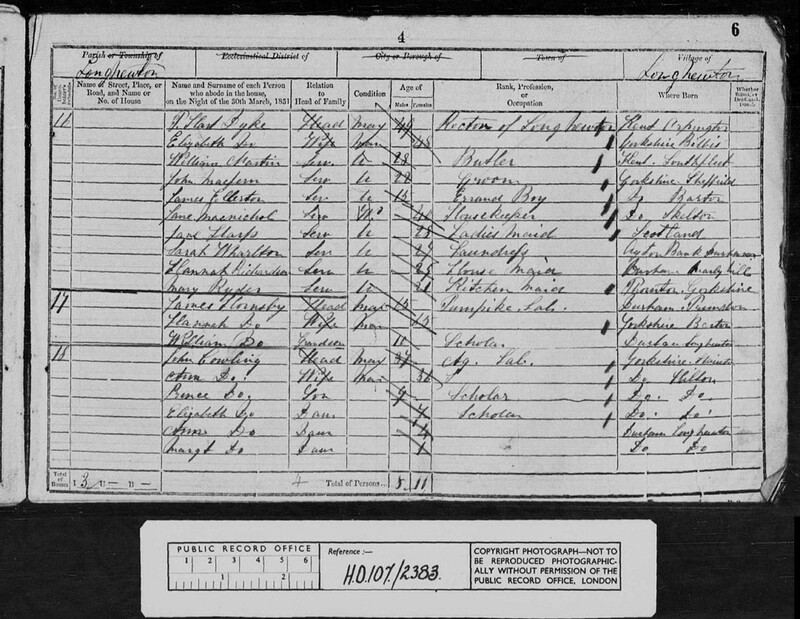 Thomas and his wife Elizabeth and their four children, plus four presumed siblings of Thomas (relationships were not given in 1841). 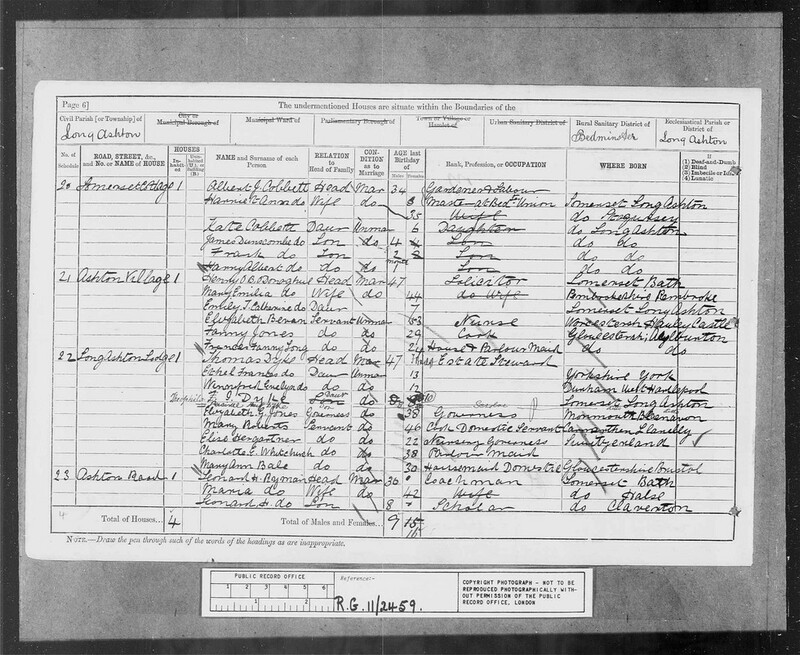 I couldn’t find Thomas Jr in that census, however, possibly because he was abroad somewhere. Elizabeth Dyke died just over two years later in 1893 at the age of 91, possibly the longest lived of all the Hart Dykes. Limited space forces me to truncate the illustrious pedigree of Miranda Hart beyond her direct ancestor, Sir Percival Hart Dyke, the 5th Baronet Dyke of Horsham, as chronicled above. Burke’s Peerage and Baronetage, however, takes it back three more generations to the first Baronet, Sir Thomas Dyke, who was MP for Sussex and then East Grinstead in the late 17th century and Commissioner of the Public Accounts. Sir Thomas was created a baronet in 1677, married the interestingly named Philadelphia Nutt in 1695 and died in 1706. 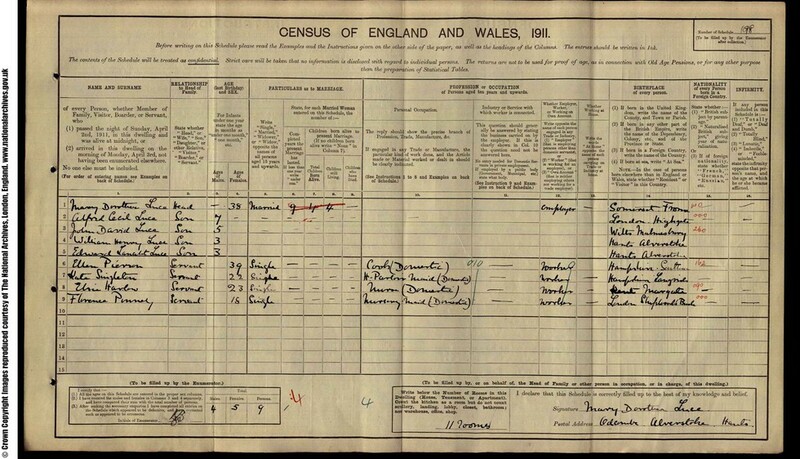 Sir Thomas and Philadelphia Dyke were the 7-times great-grandparents of Miranda Hart. The name Hart appears to have come into the Hart Dyke family through the second baronet, also Sir Thomas Dyke, who married in 1728 Anne, the daughter and heir of Percyvall Hart of Lullingstone Castle. Miranda Hart’s ancestry is taken back by Burke’s Peerage two further generations to one Thomas Dyke of Cranbrook, Kent, who died in 1632. It was his grandson, Sir Thomas, who became the first baronet.